It's not so much that DE stops working when wet, but as used outdoors, rain will tend to settle it/ dilute it/ push it into the ground. It's the sharp bones of tiny creatures and is effective when swallowed... maybe more effective when used in a glass of water, yet seems to work well in chicken feed, horse pellets, dog food and the like. Nearly all graineries put it in with the grain. It's not like we can choose to avoid it. Just sometimes our parisites get out of control. It's the absolute most effective thing we can use on parasites and super low-cost tout-bout... or ta boot, as the english say. What makes DE so magical that my 6 year old son will remind me that he has not had his "dirt" today and ask me for some DE? While it's uses are many, I would warn people not to think of it as an everyday item to consume, and probably would not get kids thinking it's magic candy. Eating it every day is totally unecessary, and some say the abrasive nature of the powder will break down the mucous lining of organs, including the intestines. For effective parasite usage, I would recommend it about once a week for a severe probem, and maybe once a month while there are no parasites visible and no symptoms. Parasites are easily destroyed and it takes time for them to re-establish in your system. I love it as an insect barrier and have used it to get rid of crickets, roaches, grasshoppers, JJapanese beetle grubs, scorpions, and other insects with an exoskeleton. Bed bugs is my number one favorite use. I sprinkle a little on a pillow case and sheets, as I've had them bite my wife at even large hotel chains. It does not seem effective on anything small, or anything large. As builds continue in so many different directions, I'm wondering if there are concrete answers on the questions that have plagued us for so long. For those of us who followed the discussion for years, and then tapered off... have we nailed anything down, or are we still experimenting in so many directions I can't keep up. I was hoping for a Zaug stove solution and then cancer strikes... and yatty, yatty, ya... I'm not trying to minimize anyones efforts or struggles. People have excelled in different ways, then BAM, bad luck, poor heath, and doors close. Do we have a best "name the part of the stove here" design? We know a few designs work well when plans are followed, but I'm looking for long-term durability, even code-buildability, simplicity, interchangability, affordability, crowd pleasing suitability, light and durable, and other considerations that yield that "inexpensive shippable core", or other part that is so easy to build that even my mom could do it? I'm thinking the one part or two that I love so far is the J-tube, the Pebble Style, Pauls shiny copper looking stainless steel barrel patina. Where are the molded manifolds, the latest heat risers, and latest off the shelf parts to be had? Hmmm? Are they out there and I just can't find them? Good start on a high-country permaculture site (7,000ft). Pics to follow. House w/new metal roof on 10 slightly sloping acres w/ 20+ inches of annual rainfall, with hoop house garden, water catchment, and swales started. 2.5 acres w/ barbed wire fence. Some Pinion Pine, lots of Juniper and free firewood. Soil is getting fertile, shade cloth protects from UV, and hail. Respond for further details. 25 minutes from Show Low, AZ. House and site need plenty of work, but that's Permaculture. Thanks. $150K cash, but I can discount, and give you a $1000 pellet stove allowance, it if you can get in before the snow flies. Tours on request. The reason I ask is... I looked a long time before asking. I found a few properties for sale, but did not find a category where all ads might show up. Just a thought. Thanks peeps! 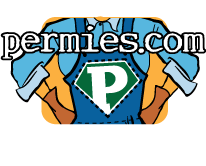 Is there an appropriate place or category to promote your land, farm, homestead for sale on Permies.com? Great job R! This is info so many of us need and appreciate. Top 3 Priorities in Choosing a Permaculture Site. I would think this would be beneficial for longevity's sake. Looking back it's easy to see why one would want to consider all the Geoff Lawton-type priorities of choosing a site based on drinking water, rainwater and drainage, both location of the site, and site layout, soil health, future location of trees, pens, pasture, gardens, type of people living near you (crime), and so many others... I would start early to figure out what types and quantities of trees you would plant, how to protect your garden plot, and property. I kept a constant list of things I would like to do to my property and slowly moved things up to the top depending on available money, materials, and need. It's good to know that Permaculture can work on any property, anywhere, with enough persistence, but take a good hard look at your reality (health, constitution, ability to work, benefits to you, and your family, your ability to get to town/doctors/work, etc.) There are many preparations one can do in advance and I encourage people interested in Permaculture to support the notion by buying up books, DVD's and getting smart before you choose your site.